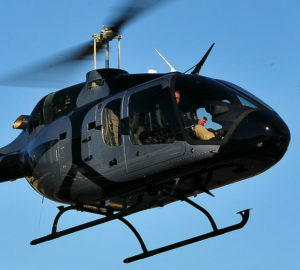 It’s been roughly a year and a half since the Bell 505 Jet Ranger X went into service, and the company has been busy pumping out ships and adding capability to the helicopter so as to reach additional market segments. Some of the certifications and improvements presently approved include increased length of the standard skid tubes, emergency floats kit, forward and aft hard point to allow the installation of a camera and searchlight, floor protectors, bear paws, full-length trainer shoes, and approval for flight with doors off. Some of the kits in development are high skid gear, headliners, tinted windows, tail rotor gearbox cover, and an emergency medical services litter installation. Other changes have been to address early teething problems. For example, it quickly became apparent during line use that the electronic power supply unit (EPSU) wasn’t creating a strong enough starter field for a battery start. The starter would continue to demand more amperage from the battery until the battery just quit and dropped offline — at times causing a hot start. So, for a period of about six months, the 505 was restricted to battery cart, start stick, or ground power unit starts only. 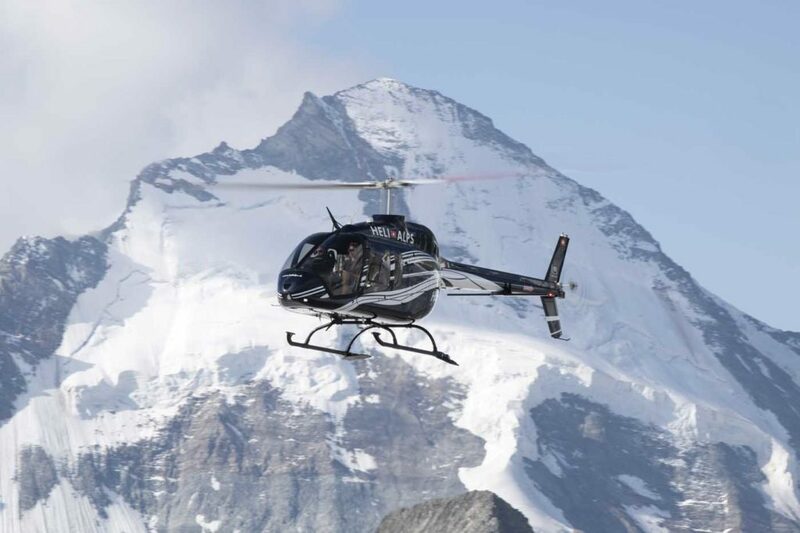 Since certification, Bell has delivered just over 100 copies of the 505 globally, of which only about 15 were delivered in 2017. The demographics have been split pretty evenly between North American and international sales. North America has dominated the sales for the first half of this calendar year, while the second half of 2018 will see more international sales. Bell expects to deliver 150 units in calendar 2019. Steadily increasing deliveries of the 505 means a steadily increasing demand for pilot and mechanic training. So, this past July, Vertical visited the Bell Training Academy (BTA) in Forth Worth, Texas, to sample what’s new in the 505 training program. My guides for my visit to the BTA were Joe Decapite, the facility’s supervisor of flight training; and Jonathan Luttmann, 505 lead instructor. We began with an opportunity for me to fly the brand new 505 simulator. 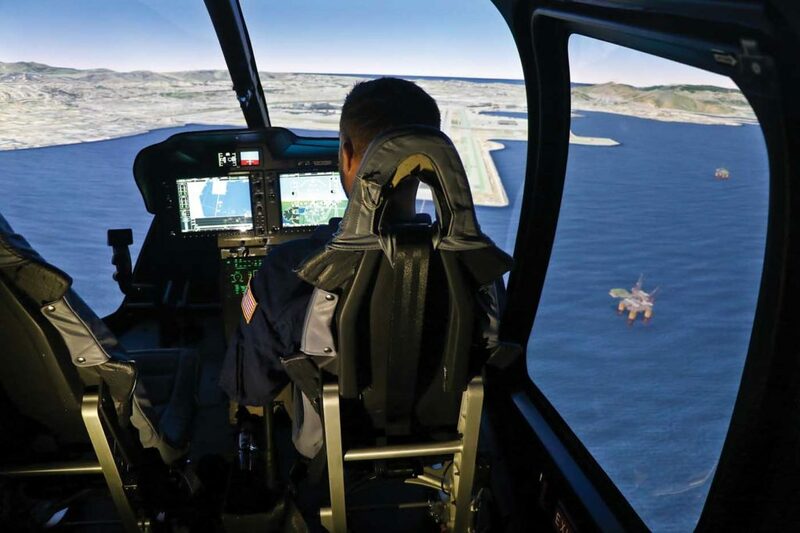 Although the sim is considered a flight training device (FTD) — meaning non-motion — this sim actually goes a little beyond that and incorporates what they like to call “mini-motion.” And quite honestly, having spent a lot of time in many full motion simulators, this FTD does a pretty good job of giving you that “seat of the pants” feeling. With Luttmann sitting in the left seat next to me, and Decapite at the instructor’s station, we started off with the full engine start procedure. I know this seems logical, but sometimes during sim sessions, you can jump past that part if time is critical and get right to the important tasks at hand. Thankfully for my visit, time wasn’t an issue. During the start procedure, the first demonstration of the “mini-motion” kicked in. 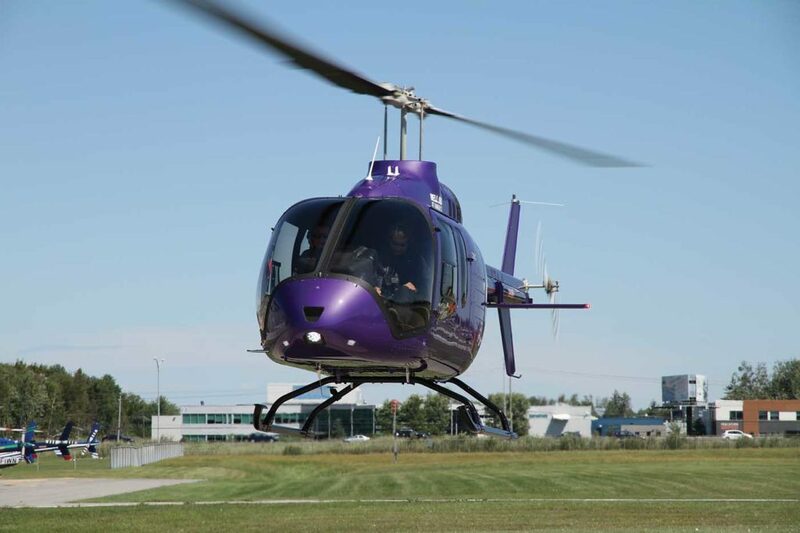 The sim began to rock fore and aft in sync with the two-per beat of the main rotor spinning up. In fact, this feature was so new that Luttmann wasn’t aware of it and was pleasantly surprised when it happened. And once the blades came up to idle speed, there was a small — and very realistic — two-per shuffle in the cabin. 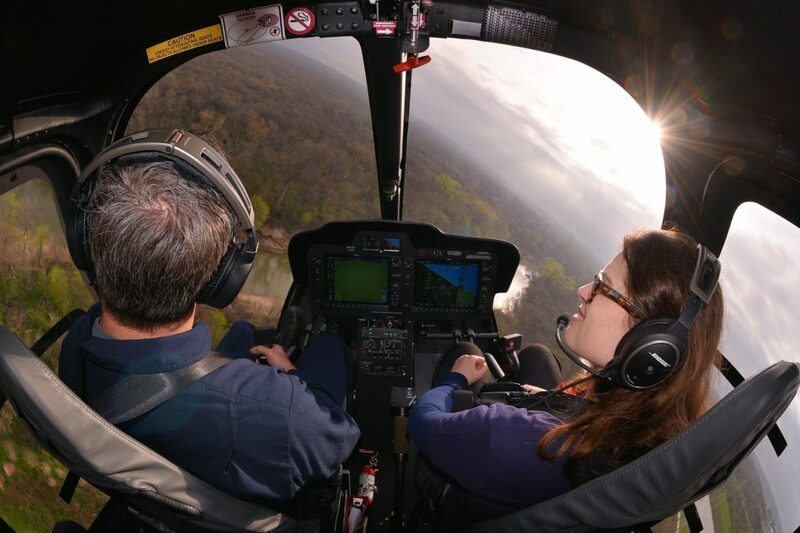 Selecting the “Fly” position on the throttle brought the rotor up to operational rpm. As in most sims, this one was very sensitive laterally. And sure enough, as I pulled up into my first hover, we scooted to the right of the runway, stopping about halfway between the centerline and the runway’s right edge. After a few more oscillations, I finally got things settled down into a decent hover. The control touch felt much lighter than I remember from the real 505 — not near the texture gradient. The feedback was much more sensitive. Hovering up to the runway thousand-foot markers, I performed some pedal turns and sideward flight. I decided it was time to do my first landing from the hover, and it actually went better than I thought it would. The next pick-up to the hover was rock steady. I should mention that the visuals are stunning. To me, the quality of the visuals drives the level of realism more so than having full motion. Certainly, a high-quality combination of both is most desired, but this “mini-motion” FTD had me drawn in to the realism within minutes. An interesting feature of the 505 that I recalled from my flight of the real aircraft was the throttle control switching when it comes to control transfer between pilots. Normally, one of the throttle controls on the collective is switched to “Idle” with dual controls installed. In the sim, when it was time to transfer control from me to Luttmann, he switched his throttle to “Fly,” at which point we were shown to be in the “Dual Fly” mode on the crew alerting system (CAS) display. Once Luttmann took the controls, he had me switch my throttle to the “Idle” position. “That’s important so that if there is an emergency and I needed to go to the ‘Idle’ position, I’d be able to go there,” he explained. This means that during training, the one doing powered maneuvers has their collective throttle switched to the “Fly” position, with the other switched to the “Idle” position. “The aircraft was designed so that only one throttle is switched to the ‘Fly’ position,” said Luttmann. However, for teaching full touchdown autorotations, the student has his throttle switched to “Idle,” and the BTA instructor’s is in the “Fly” position. This way the instructors are in charge of going to “Idle” to start the maneuver, and they have ultimate control to go back to powered flight if necessary. It’s important to point out that either pilot can command the 505 to “Fly,” but both pilots have to command it to “Idle.” It sounds safeguarded well enough in principle, but I know how humans can mess things up. I think I’d want the dual controls removed anytime they weren’t necessary for the task at hand. I shot a couple of autorotations and was reminded of how you really have to work at it to get rid of rotor RPM in the 505. 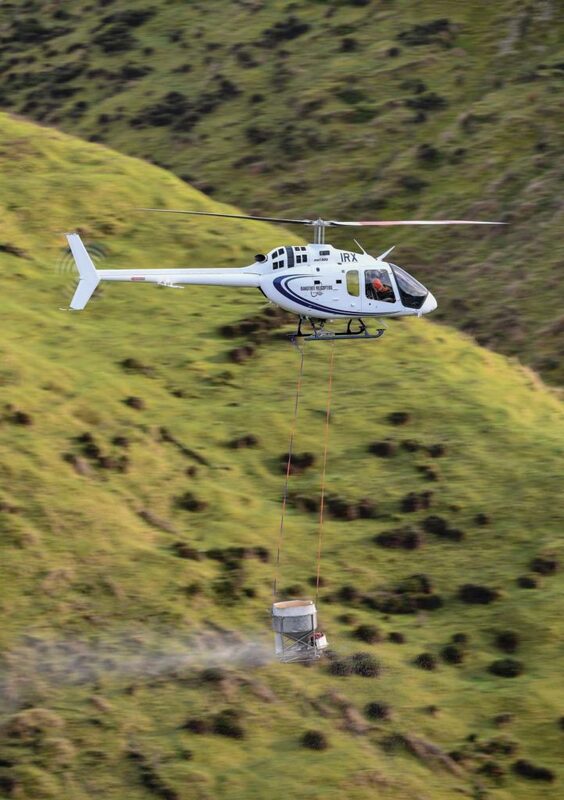 This makes sense, of course, because it’s the Bell 206L rotor system. In spite of the different (meaning higher vantage) sight picture at touchdown from the real 505, the sim will still be a great tool for teaching autos to new 505 pilots. We had been flying all this time in the “smooth” air setting, so Decapite give us a little light chop, which actually made the helicopter feel even more realistic. I was then introduced to a number of emergency procedures, including engine control unit failures and various tail rotor control failures. This is where these FTDs really shine — by offering the opportunity to explore a multitude of emergency procedures safely and in great detail. The normal curriculum for 505 pilot training is two hours in the FTD, and three 505 flights for the initial course. 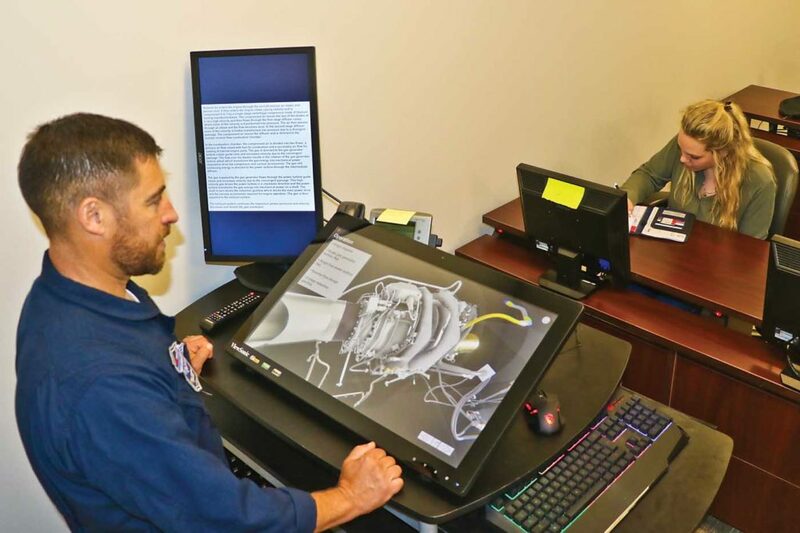 “The FTD has been really helpful to see how the systems operate, especially if [students] haven’t had any glass cockpit experience,” said Luttmann. Up until July, the sim was not available, so it required an extra 505 flight period. A game changer for the BTA is its new Unity program that anchors its 505 ground training curriculum. The program is based on 3D modeling, and required nine months to develop. 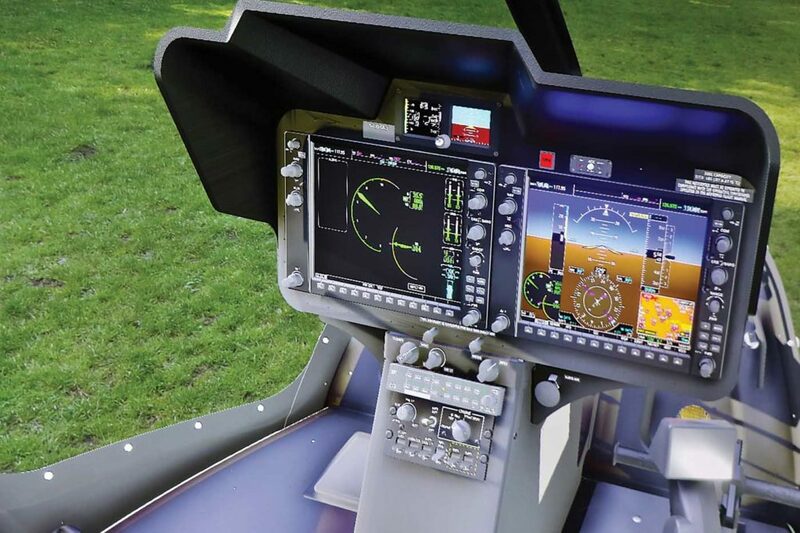 The team behind it won a Textron award for the program, and I could see why. 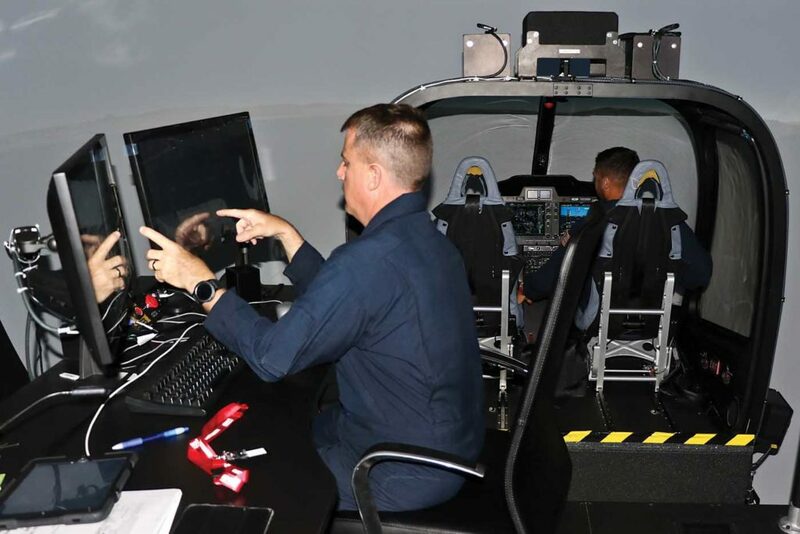 With Luttmann at his instructor station in the classroom, he demonstrated how the program allows him to move around the virtual crew compartment, allowing the instructor to show the area in discussion on the screen. He started from the pilot’s seat perspective looking at the panel, and then changed the field of view as if the pilot had turned their head up to the cabin ceiling and towards the rear. The instructor can talk about the various displays and highlight specific items as they are discussed. All of this is shown on a large flat-screen monitor, but can be seen on the student’s individual monitors at their workstations, as well. Although the tour through the cabin and details on the avionics systems were impressive, what really caught my attention was the discussion of systems and components. Over almost 30 years, I’ve been to the BTA many times for a variety of training programs. 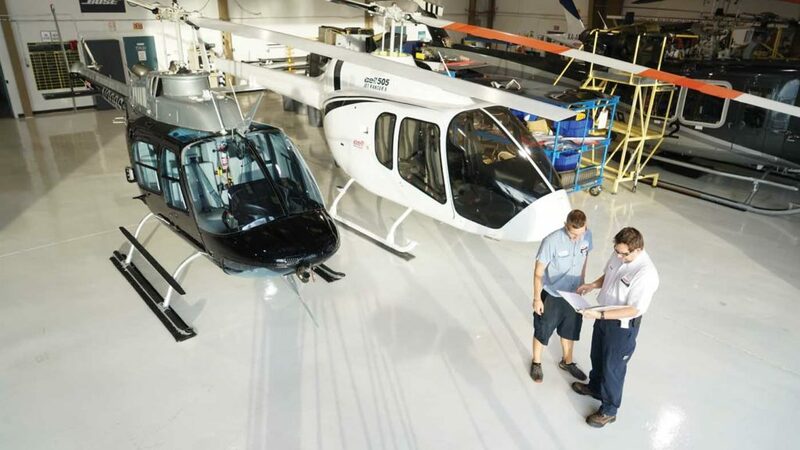 One of the major plusses of going to the academy is the ability to walk out to the maintenance training section that houses the many airframes and components available as visual aids. Now, however, you don’t have to leave the classroom, because the Unity program takes systems and component training to a whole new level. You can start on the drive train system, for example, where the instructor can zoom in on each individual component. That component can be spun around on any axis, as though you were turning it in your hand to look at it from different angles. And if that’s not enough, the instructor can then journey to the inside of those components, providing a level of training that’s not even possible in the maintenance lab. To demonstrate, Luttmann peeled back the layers to the inner workings of the main rotor transmission. Further enhancements are already in development. “[Bell] is actually working on the next step, which is animation,” said Luttmann. This will allow instructors to show what a component or system looks like when in motion. “That’s where we are going with this, but we are not quite there yet,” said Luttmann. Bell trained 55 Jet Ranger X pilots last year, and is looking to double that for 2018. Understandably, all of these pilots have been completing initial training. But it won’t be long before the first batch of recurrent training customers will start showing up. Whether for initial or recurrent training, in the U.S. or for foreign markets, the BTA is making sure it’s up to the task of providing innovative and comprehensive training to these customers.